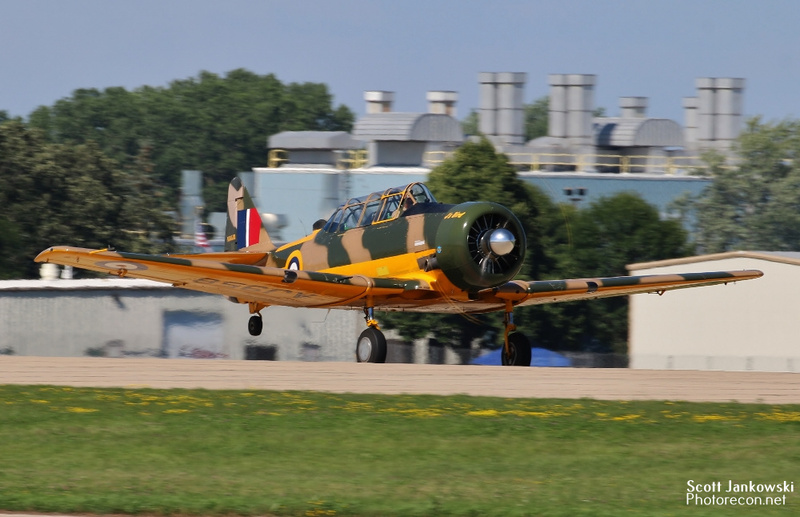 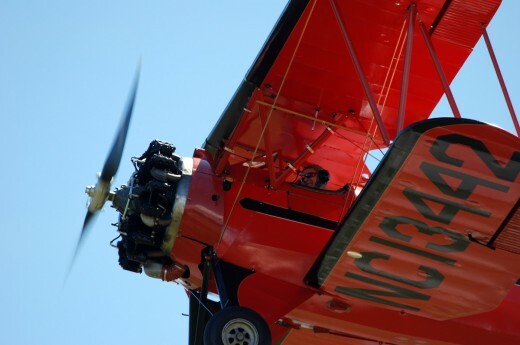 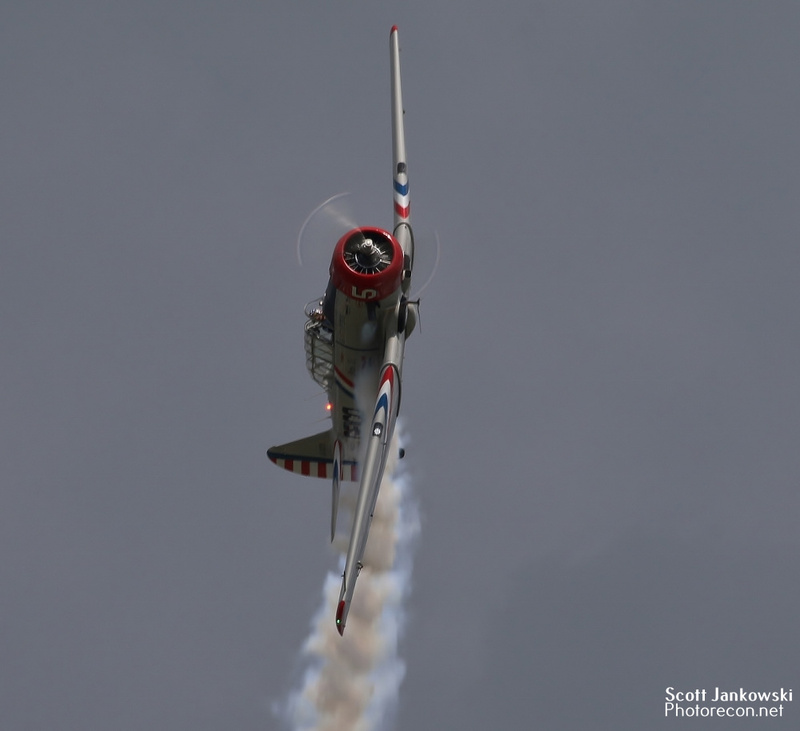 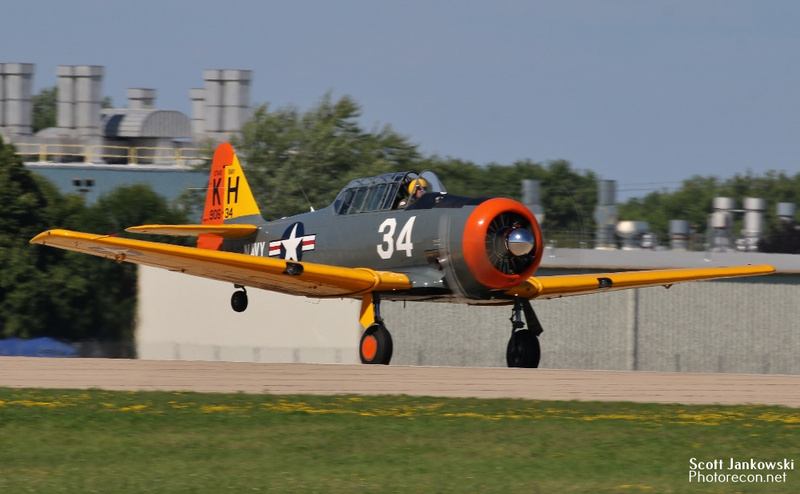 All photos by Scott Jankowski – mainly from the EAA AirVenture Oshkosh 2018 event, with additional file photos – Ed. 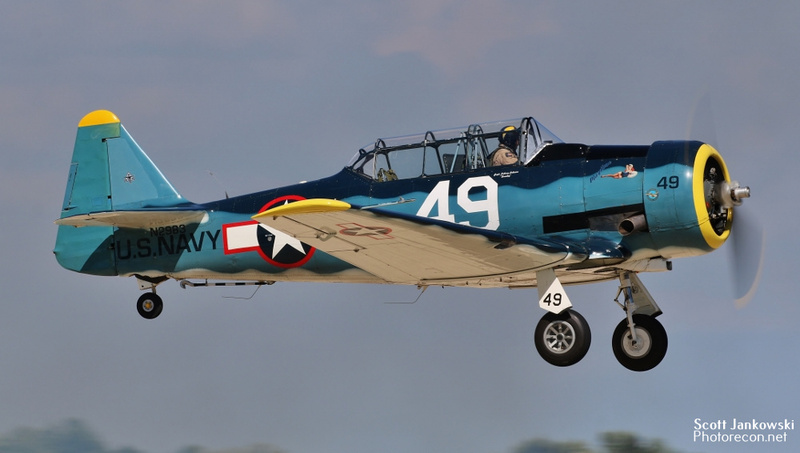 Texans were used by over 60 different countries in a variety of roles including combat operations. 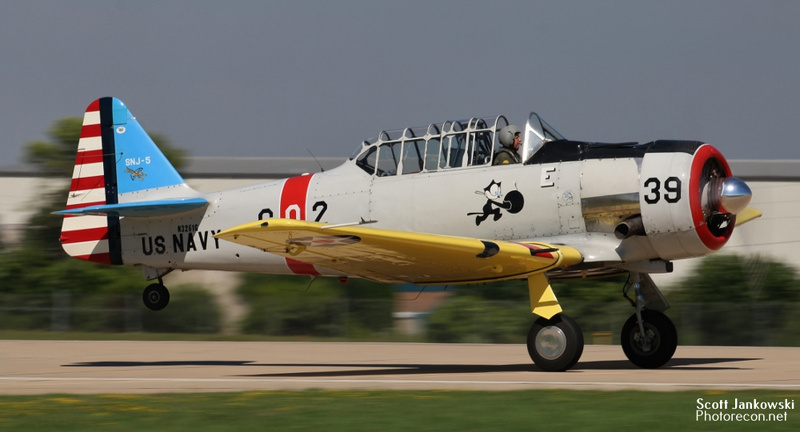 The United States Air Force would use the Texan in combat operations during the Korean War and to a lesser extent the Vietnam War. 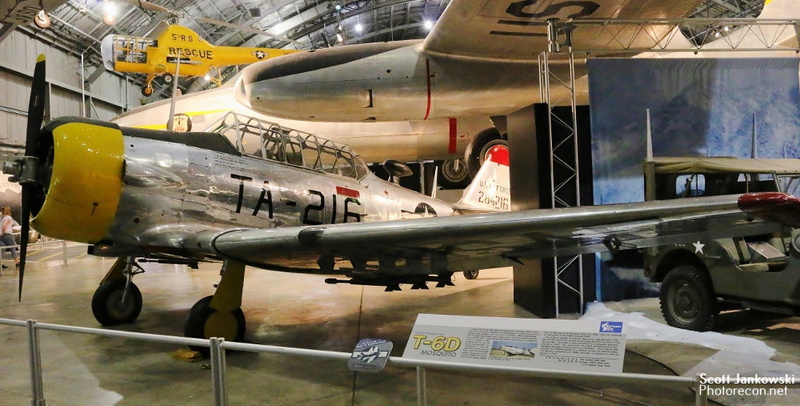 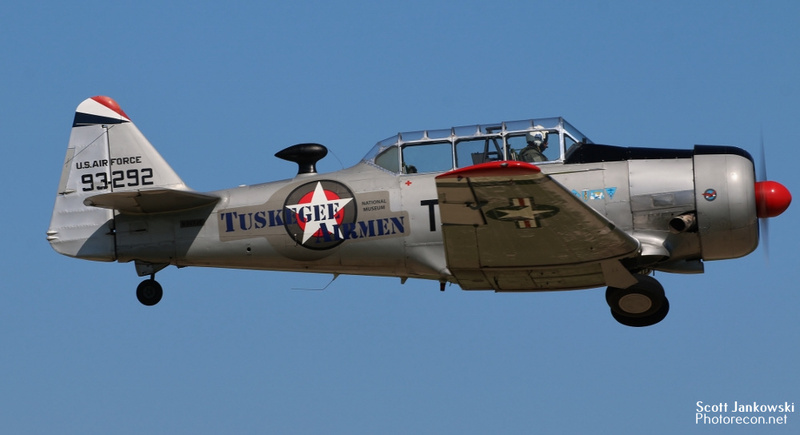 These Texans would be designated as T-6D Mosquito’s and were used as FAC’s (Forward Air Control) aircraft. 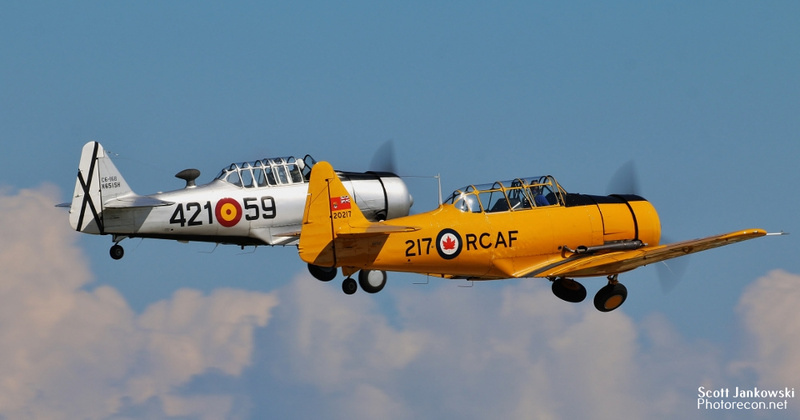 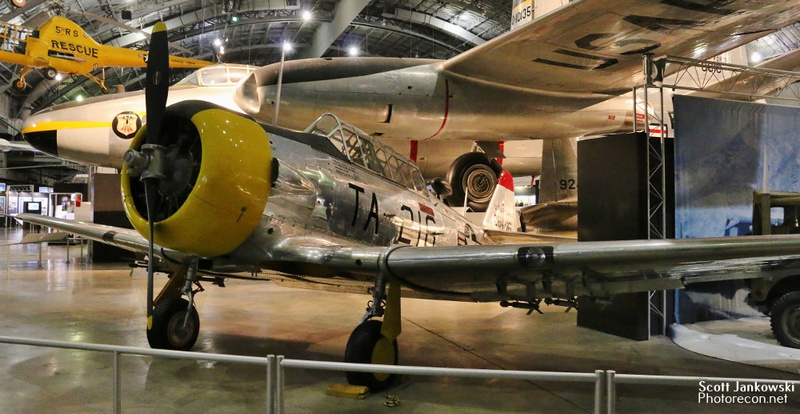 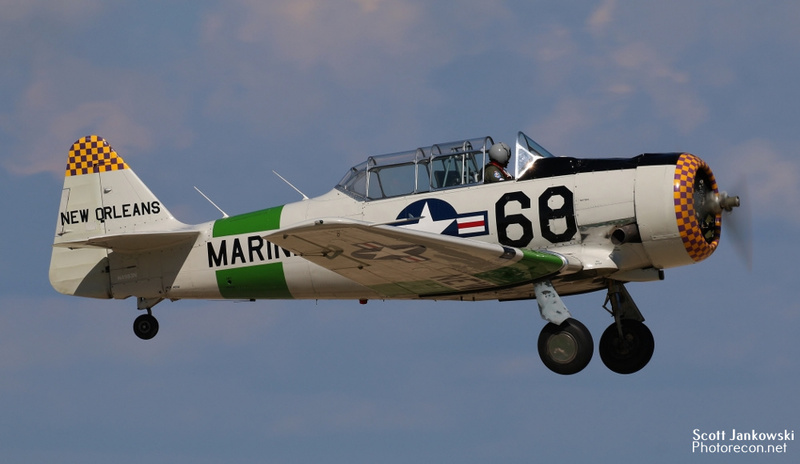 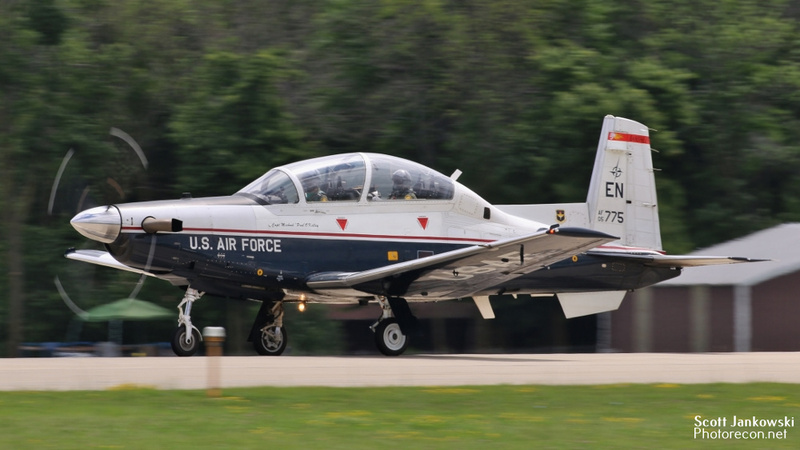 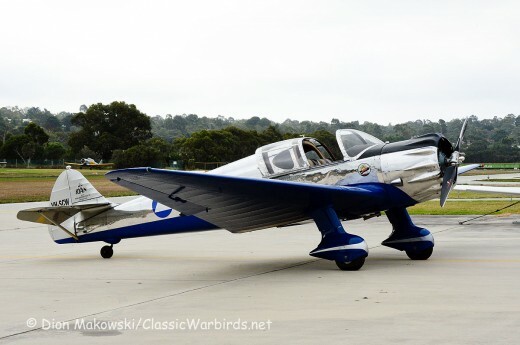 Texans would serve until 1995 when the South African Air Force finally retired the type for a more advanced model of trainer. 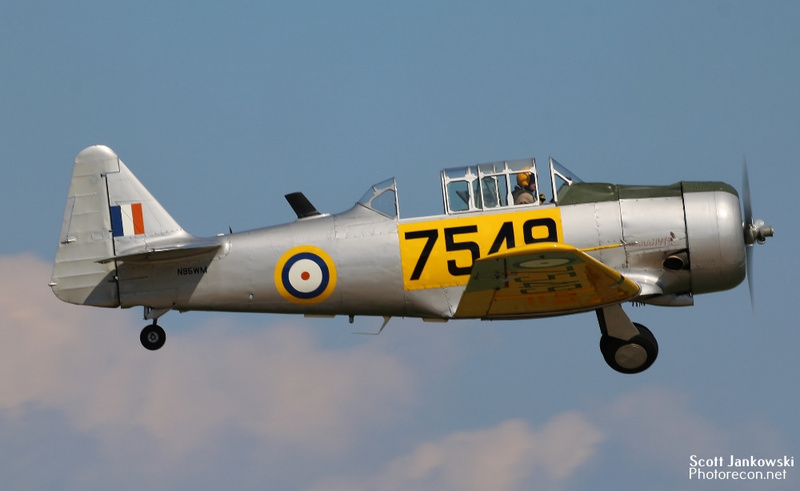 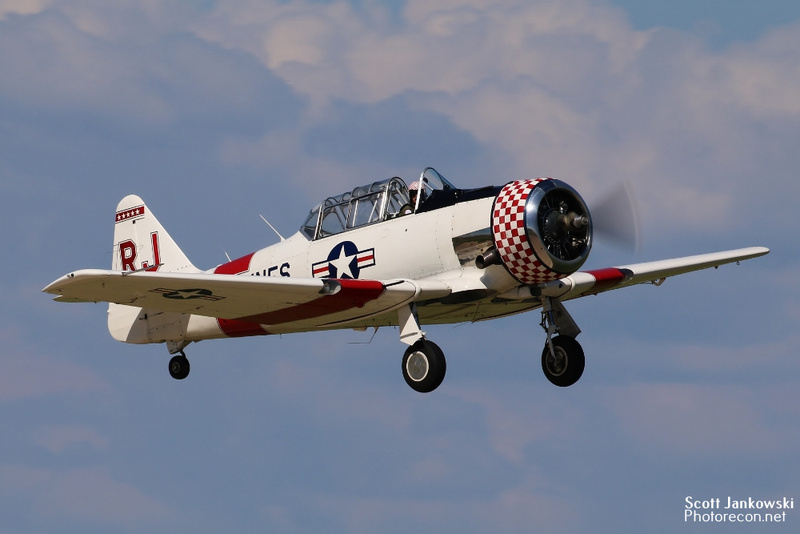 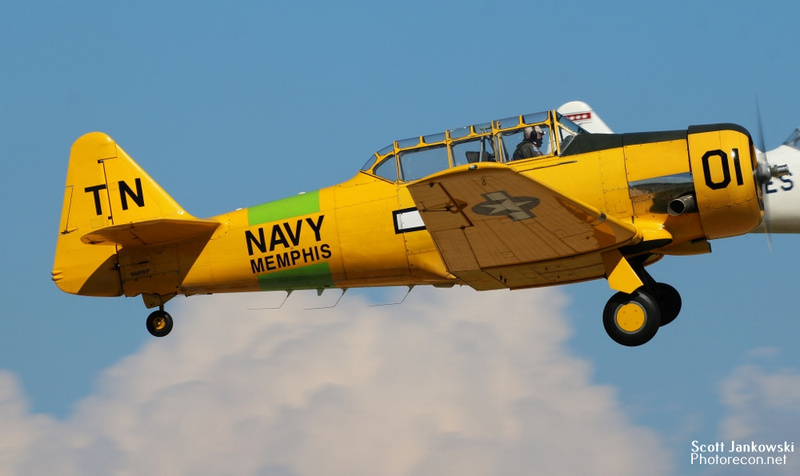 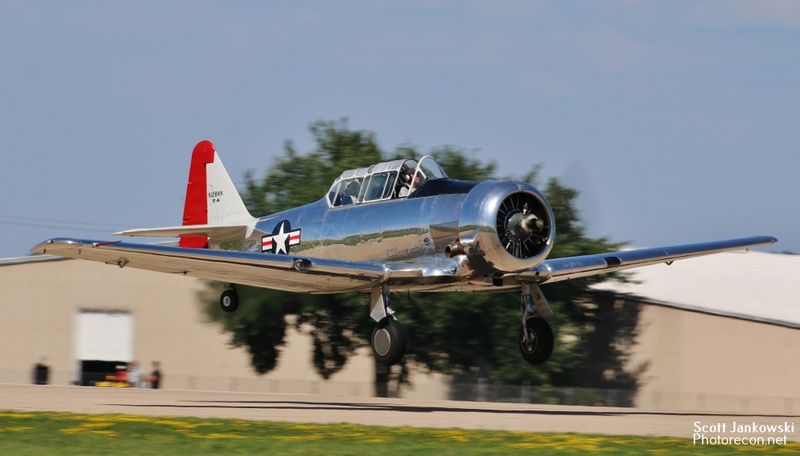 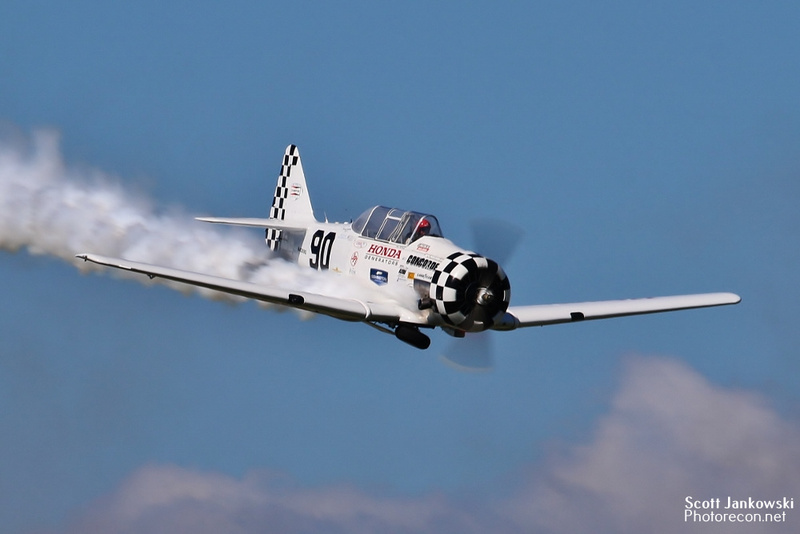 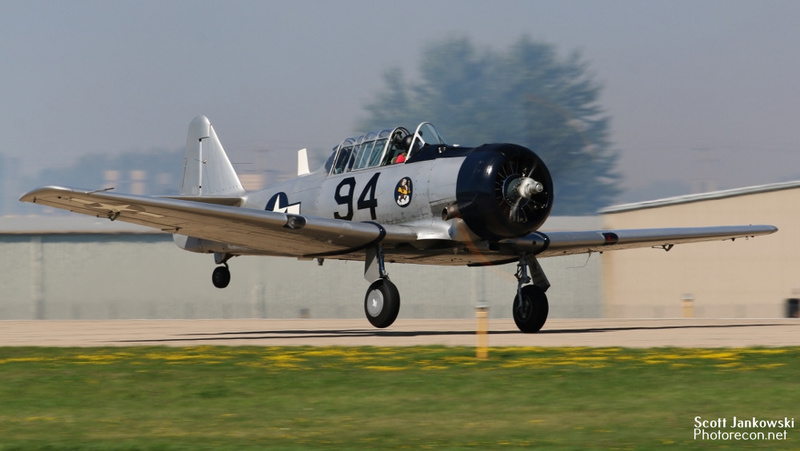 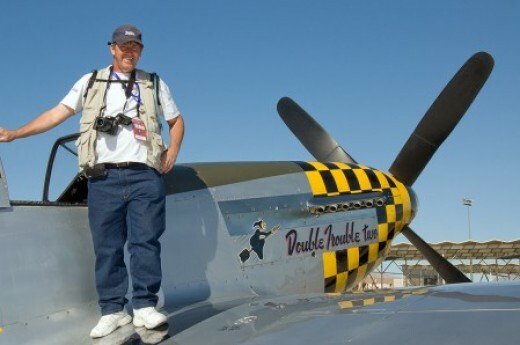 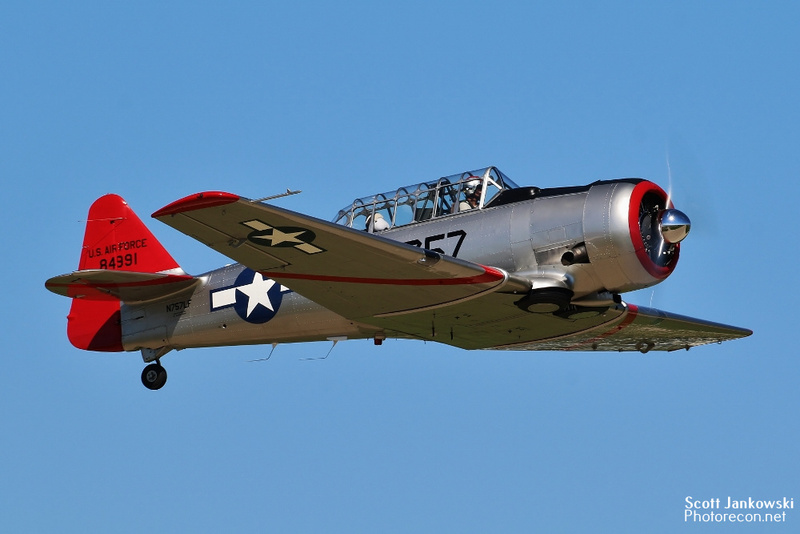 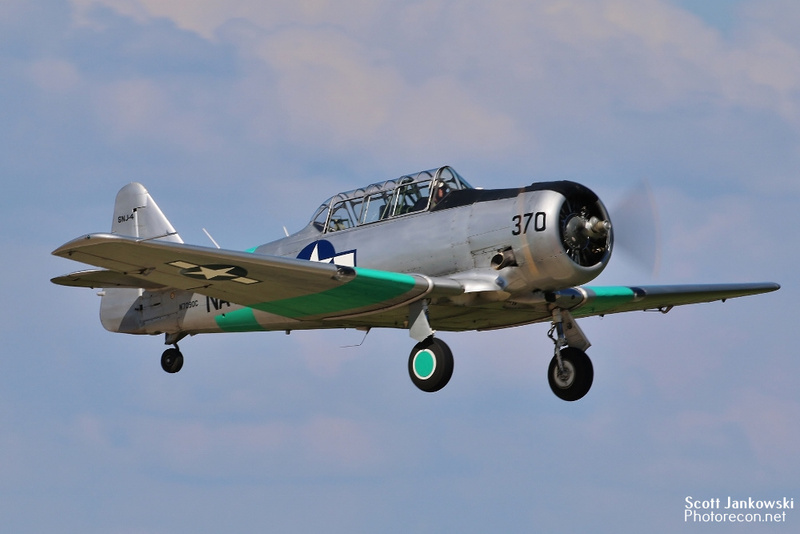 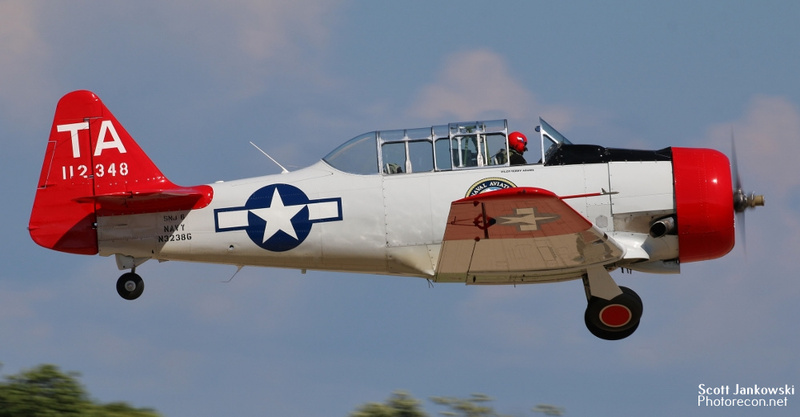 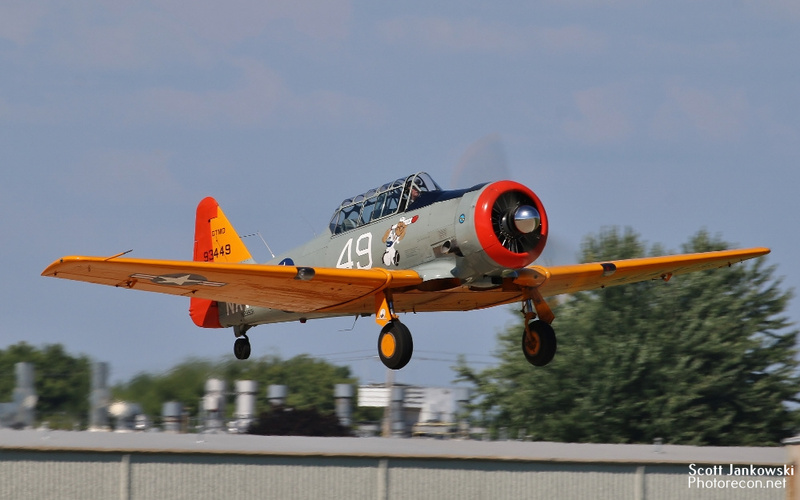 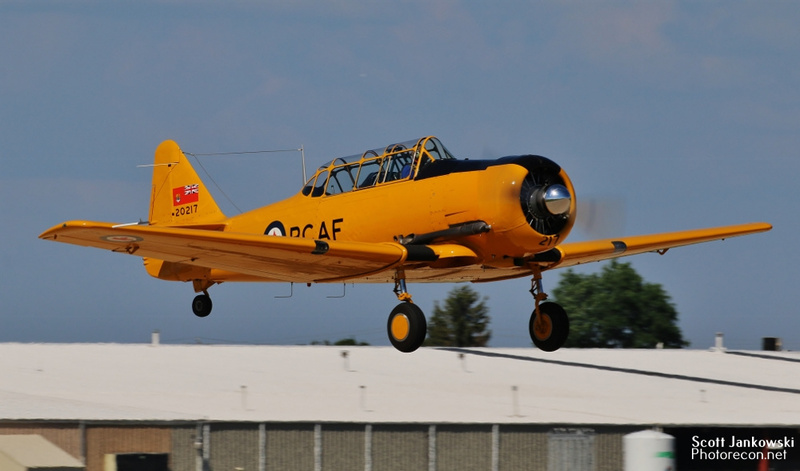 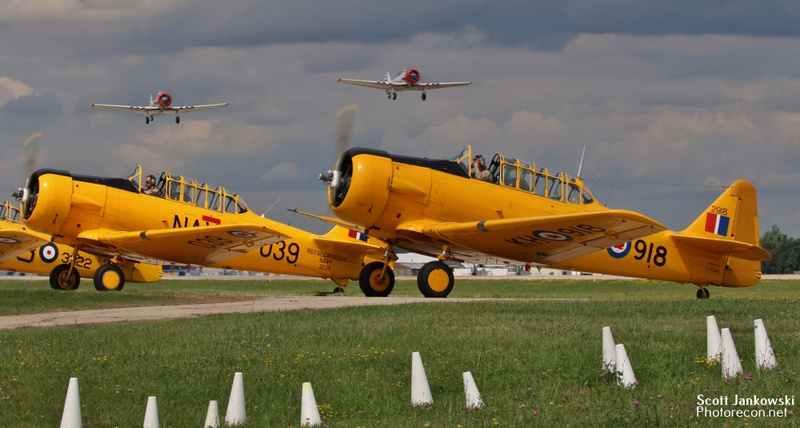 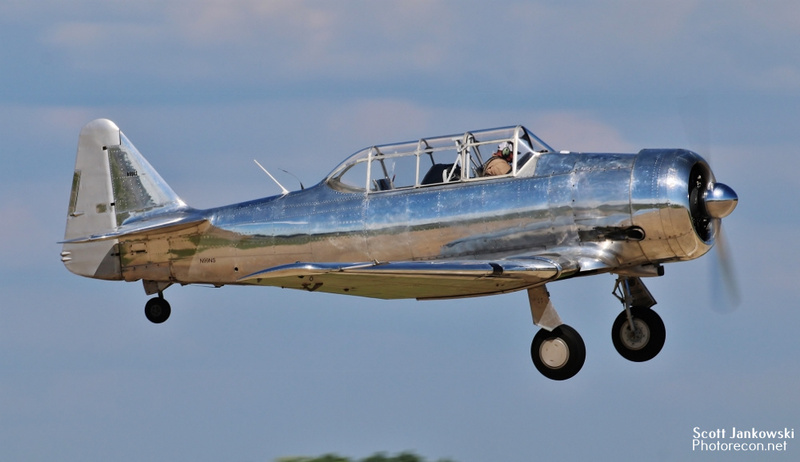 The Texan is powered by a single 600 Horsepower Wasp Radial Engine that gives the Texan a top speed of 208 mph. 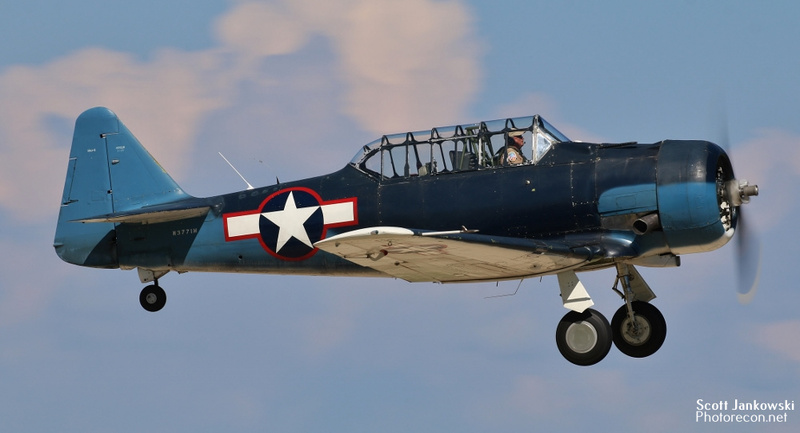 Texans have also starred in Hollywood movies and Television shows as well. 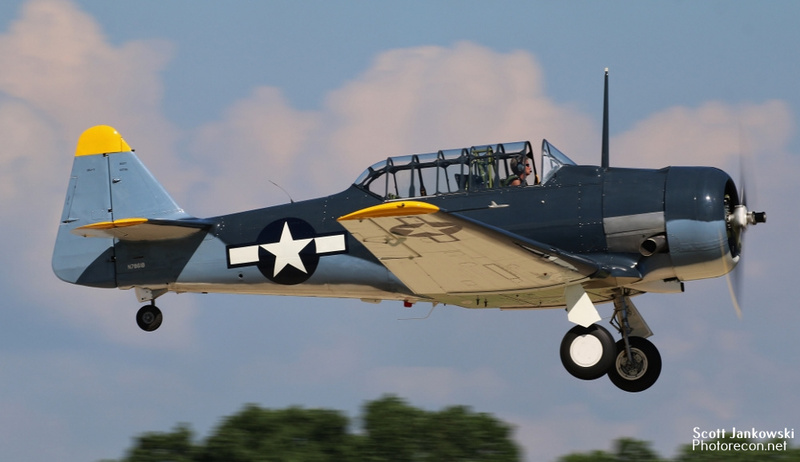 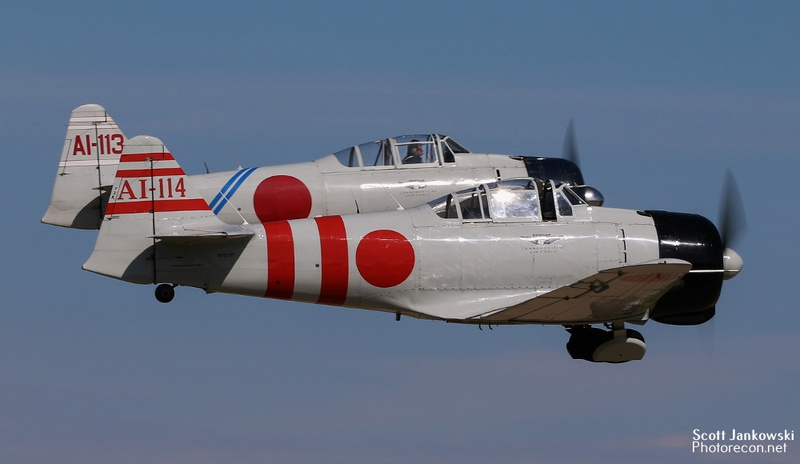 Texans have been converted into replica Japanese Zero’s and have appeared in Tora,Tora,Tora, The Final Countdown, and Black Sheep Squadron. 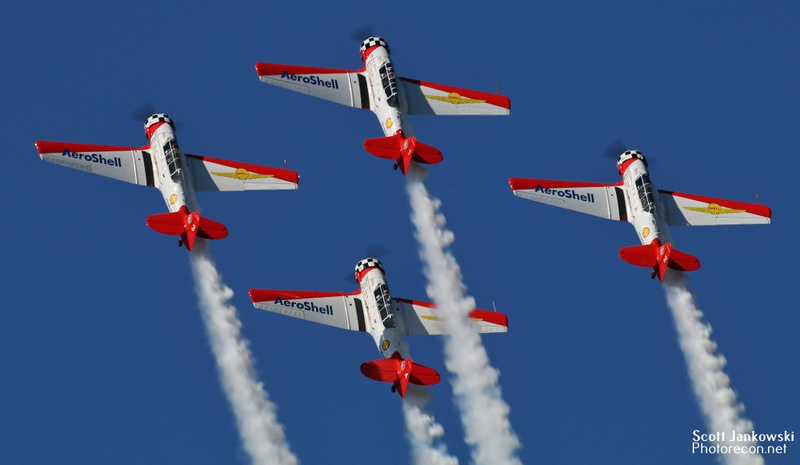 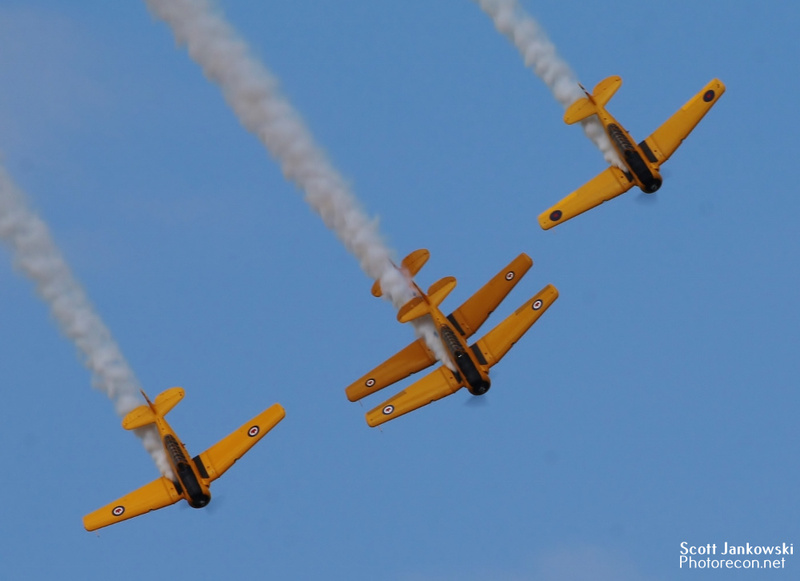 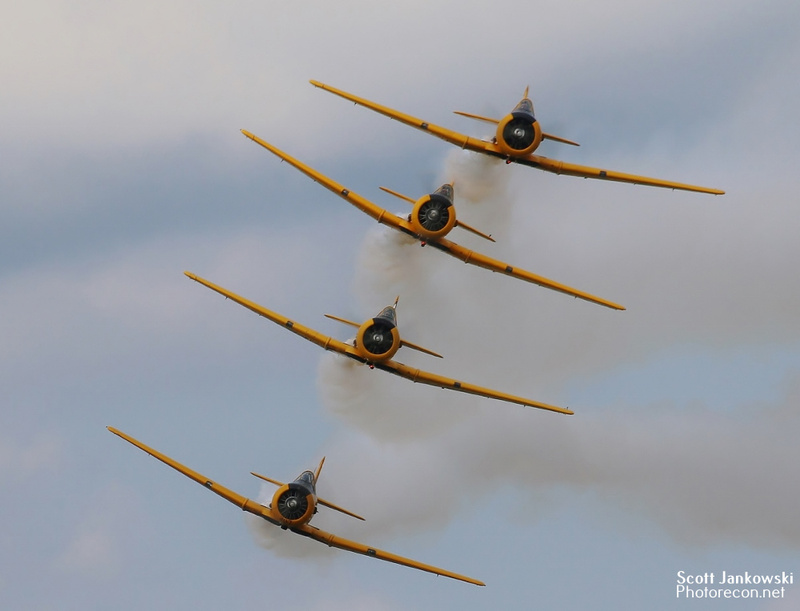 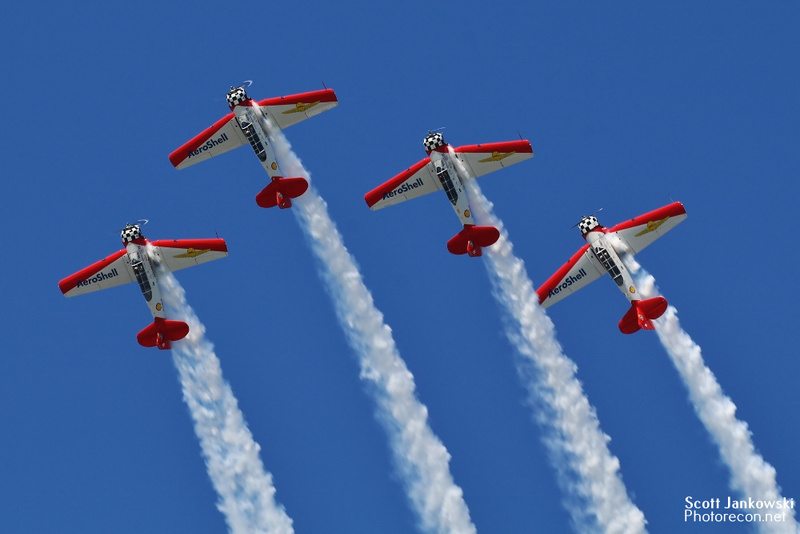 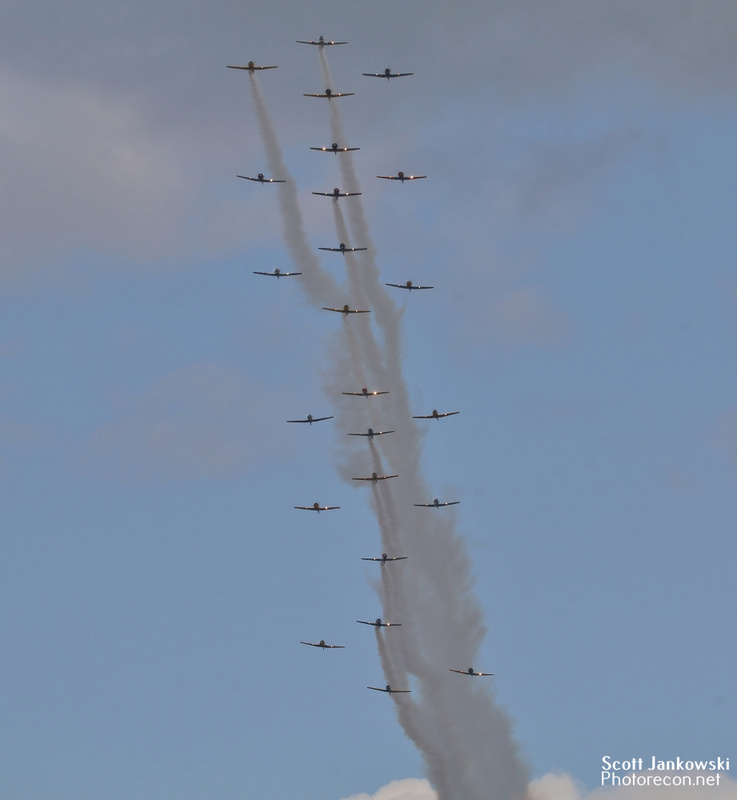 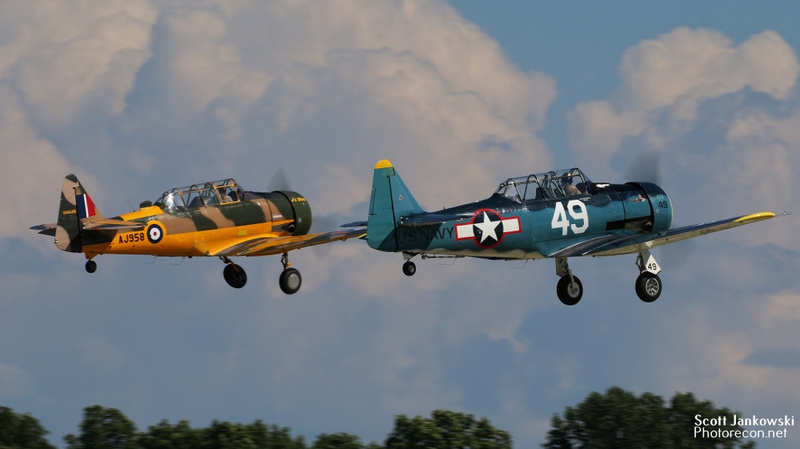 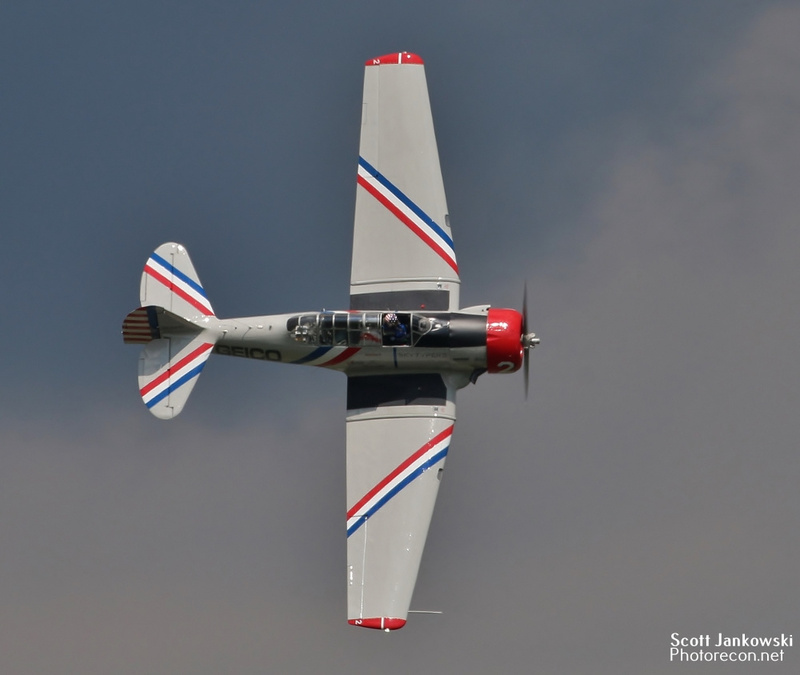 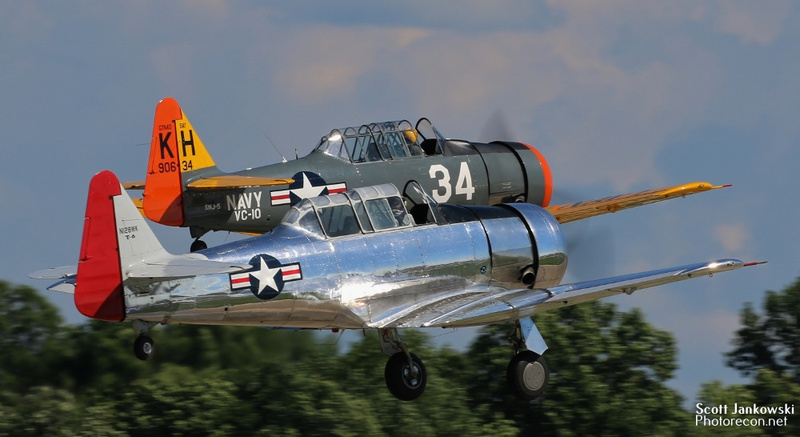 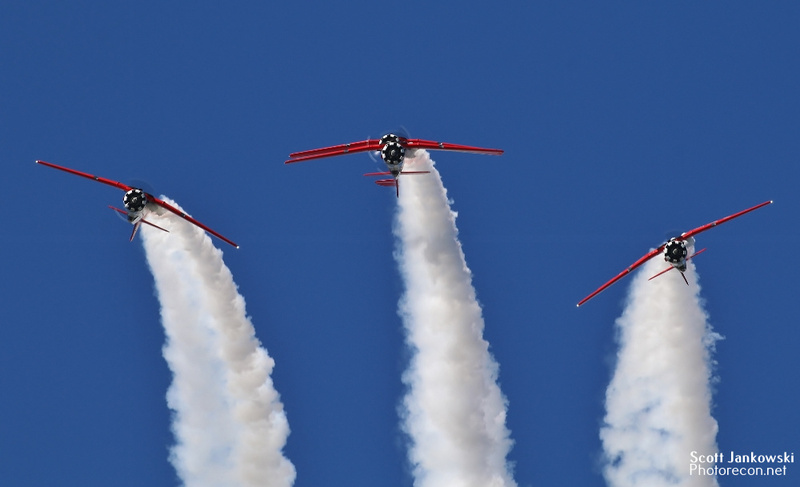 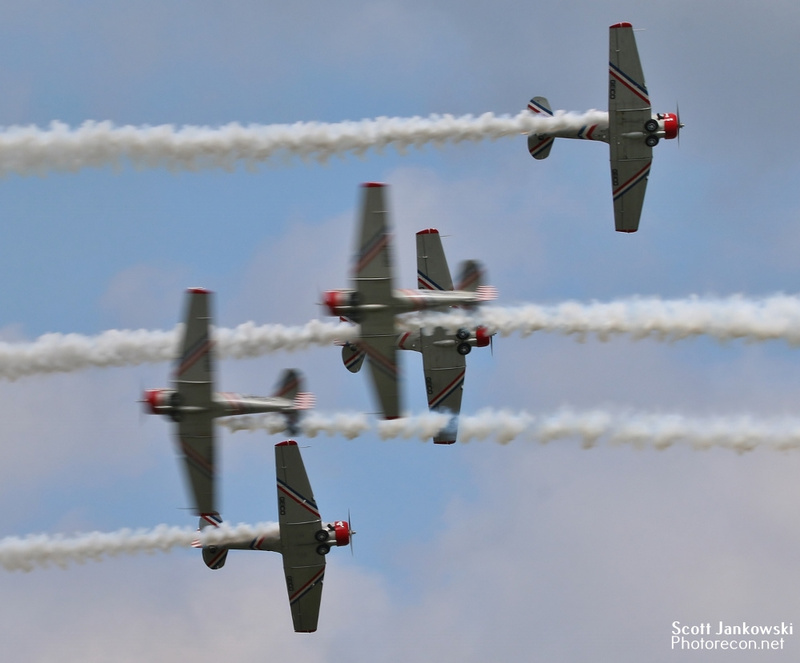 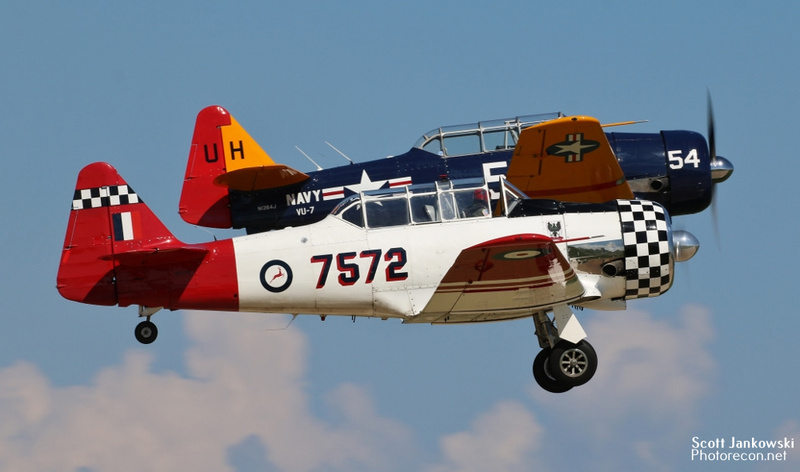 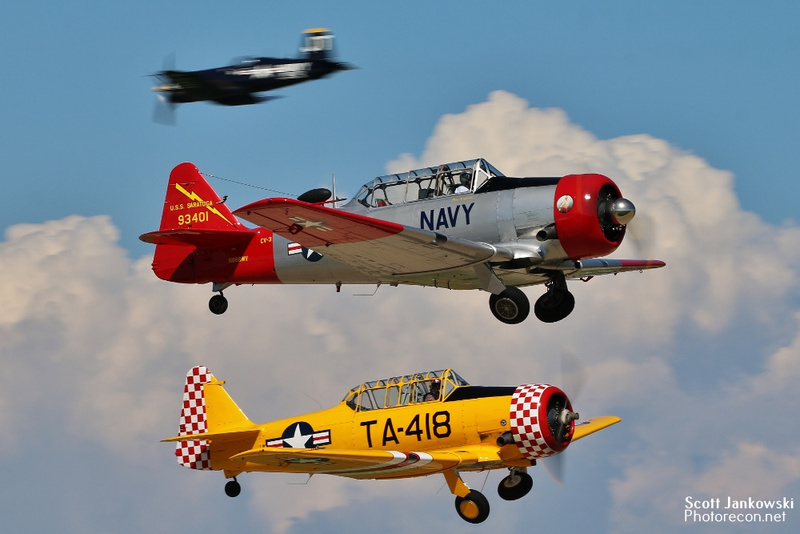 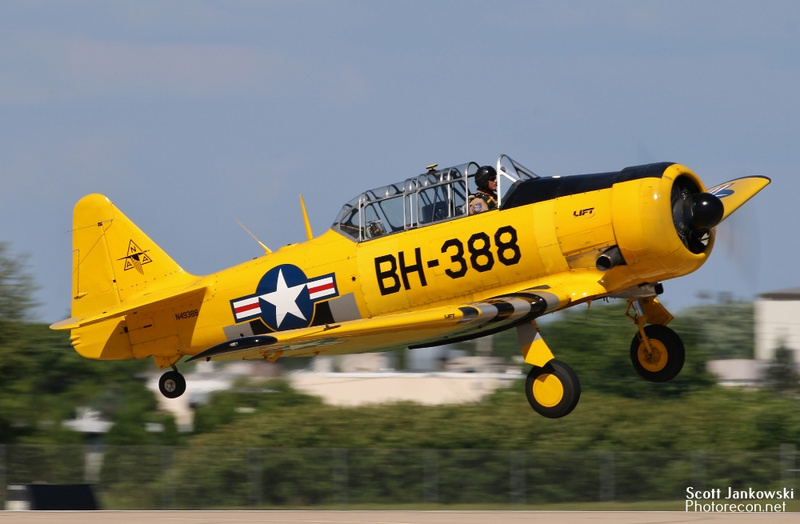 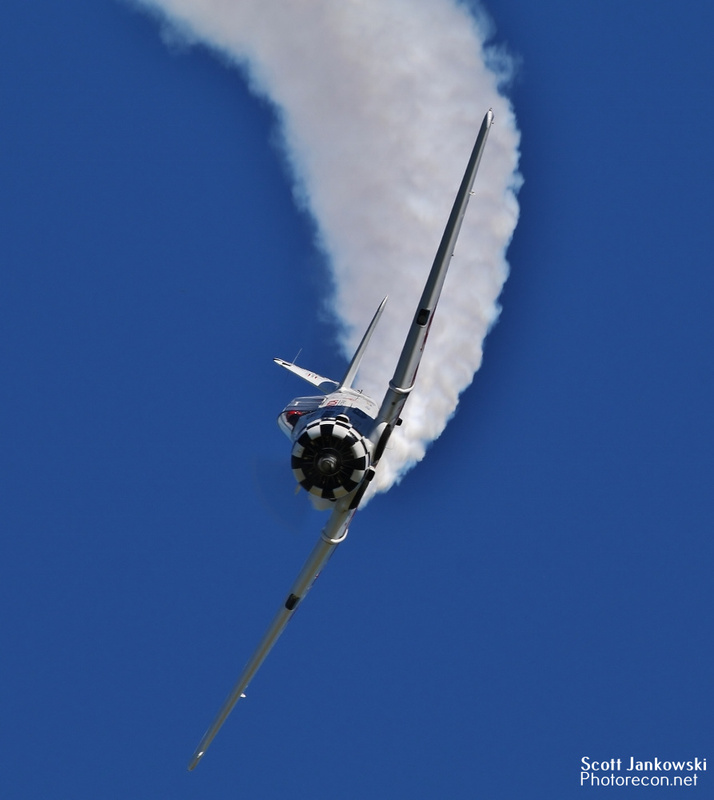 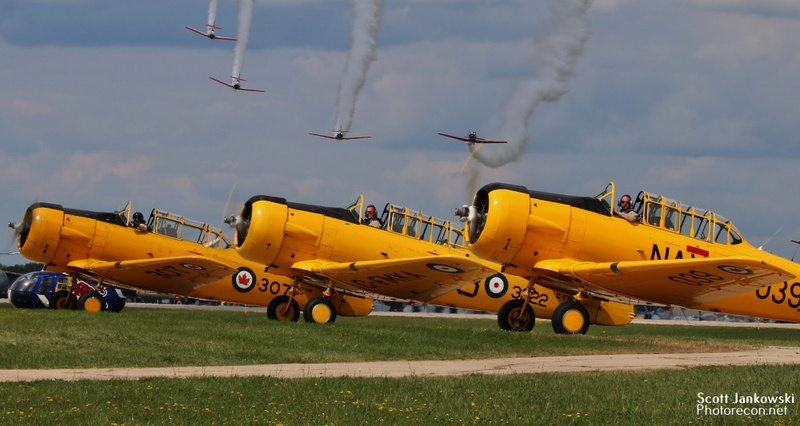 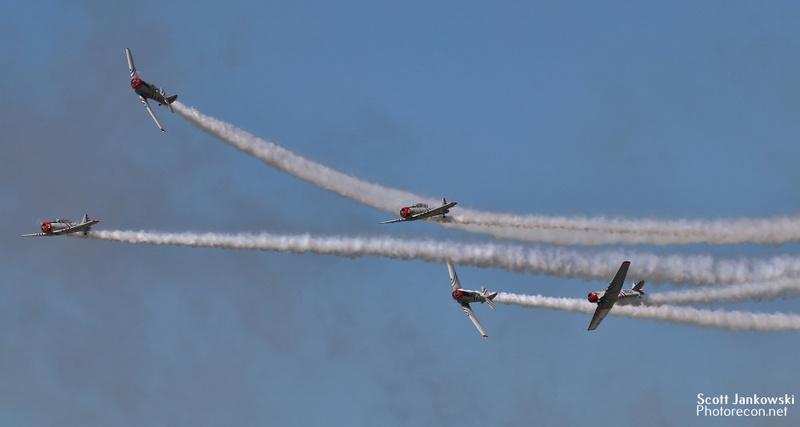 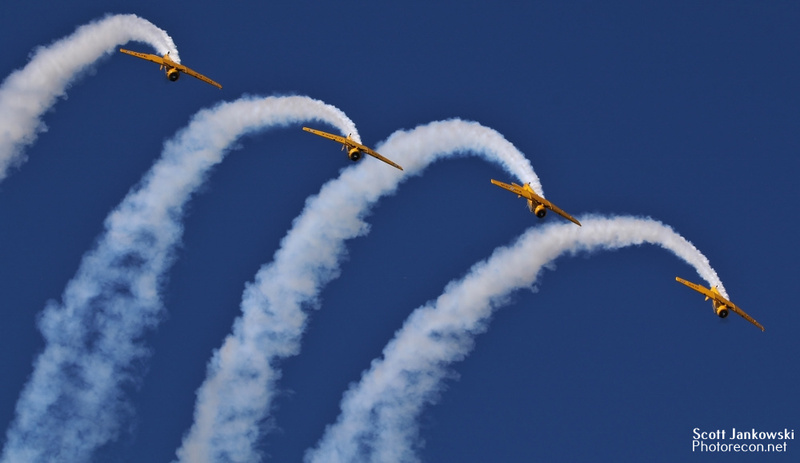 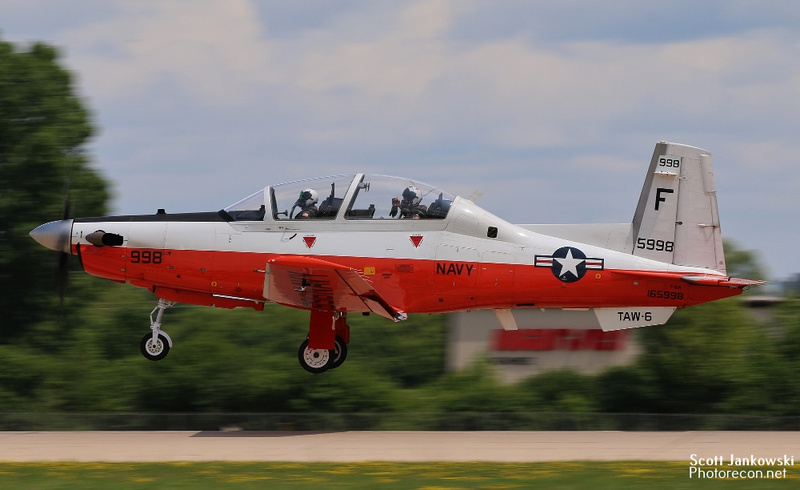 AirVenture 2018 celebrated the Texan featuring Three Aerobatic Teams that fly the Texan. 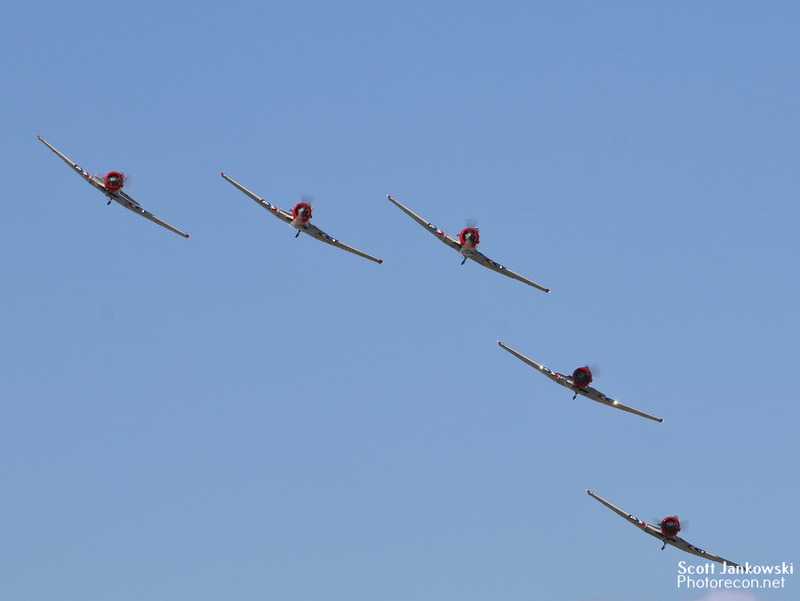 Those were the Geico Skytypers, Aeroshell, and the Canadian Harvard Aerobatic Team. 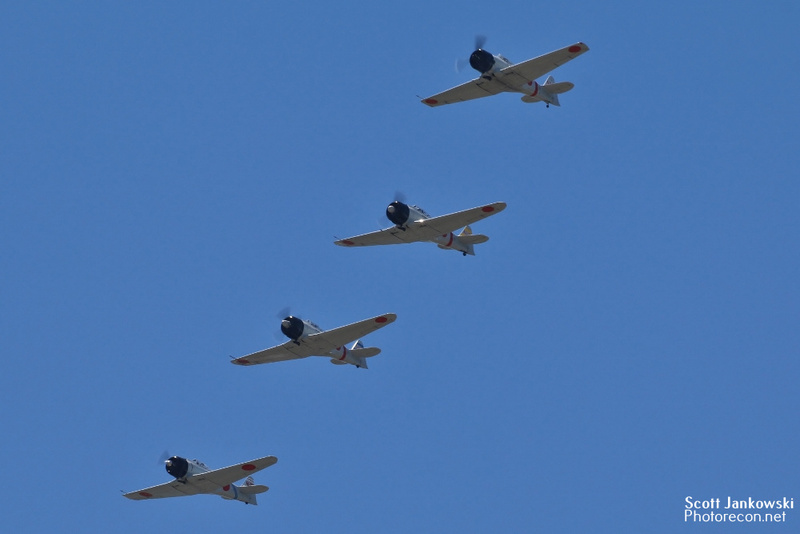 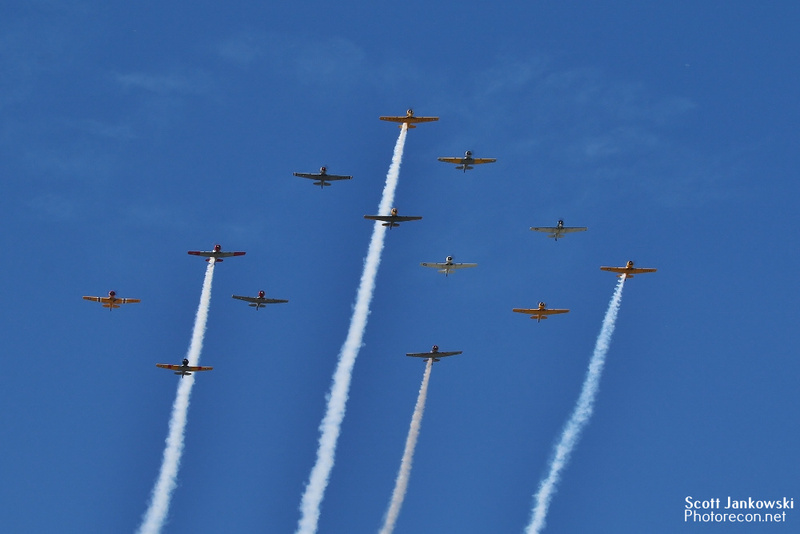 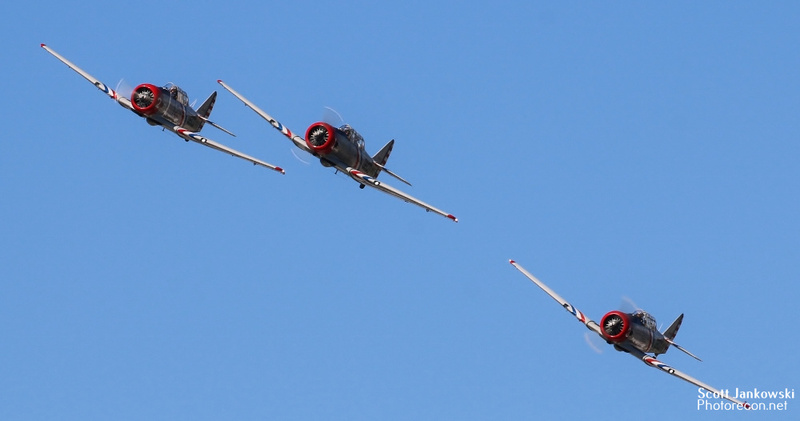 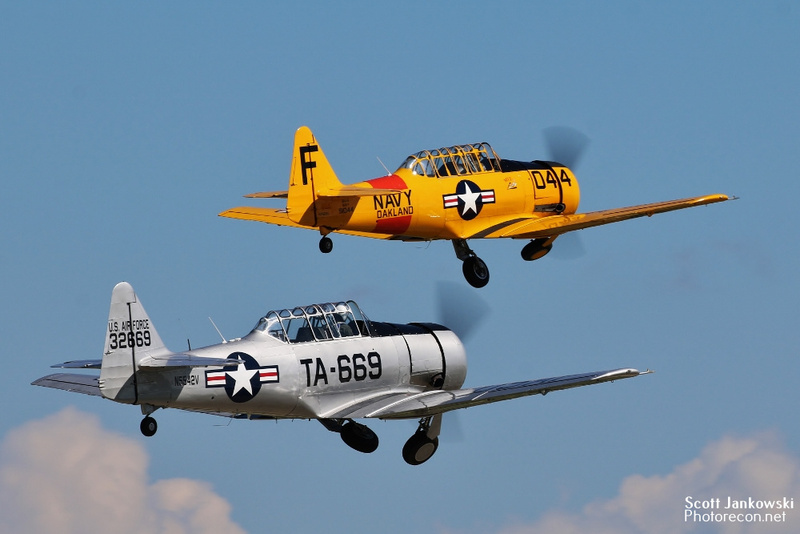 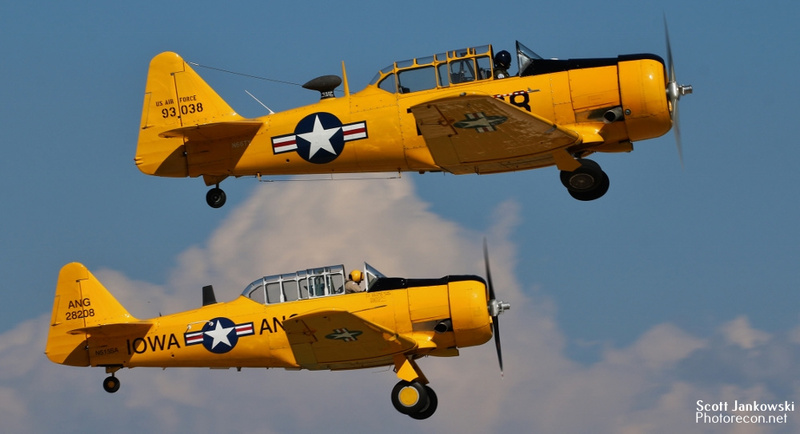 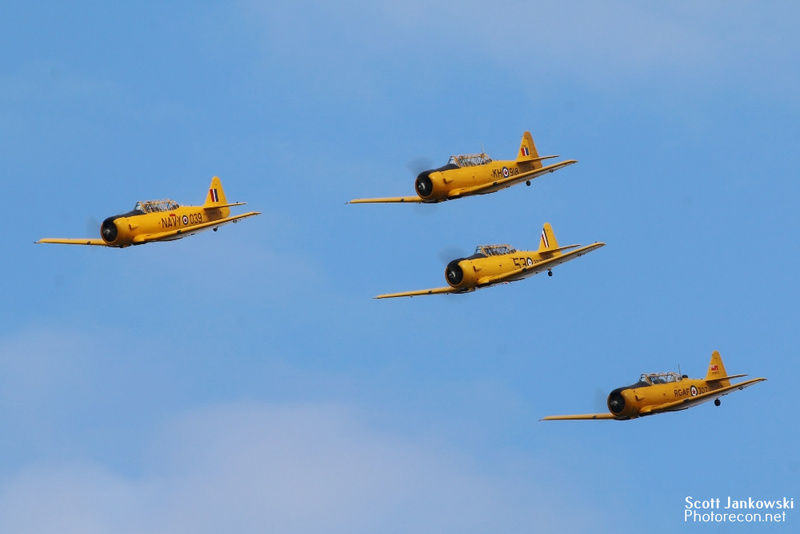 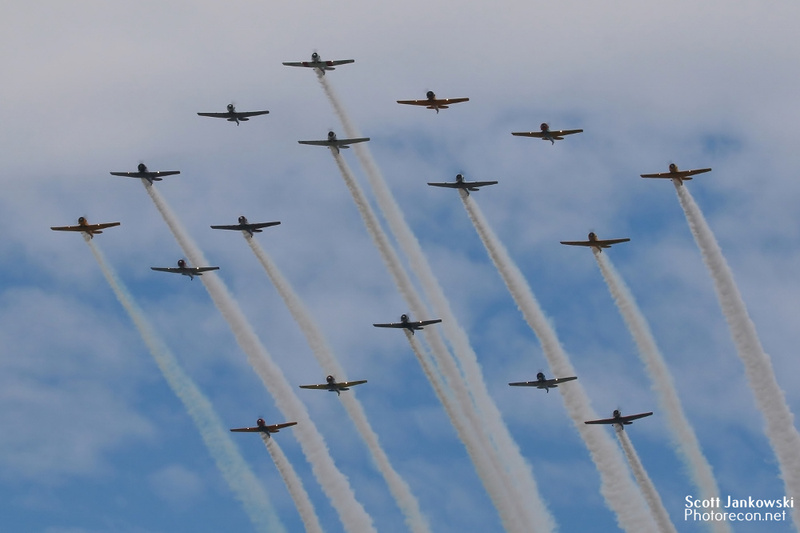 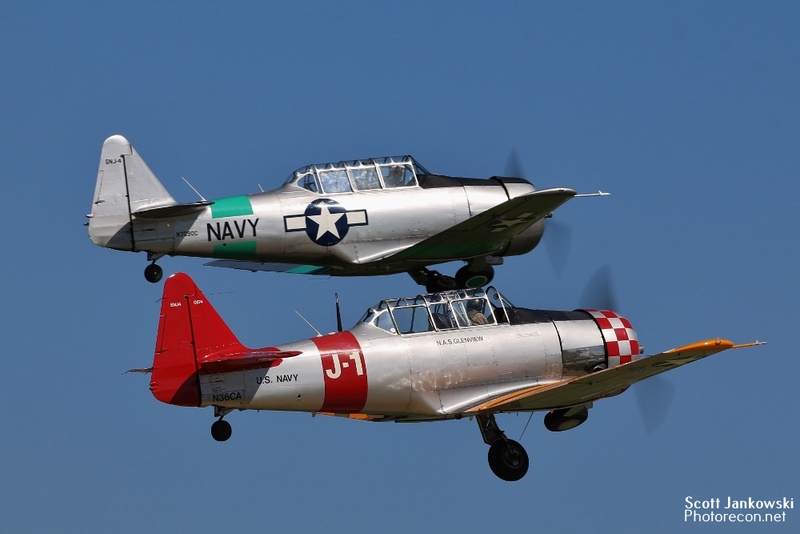 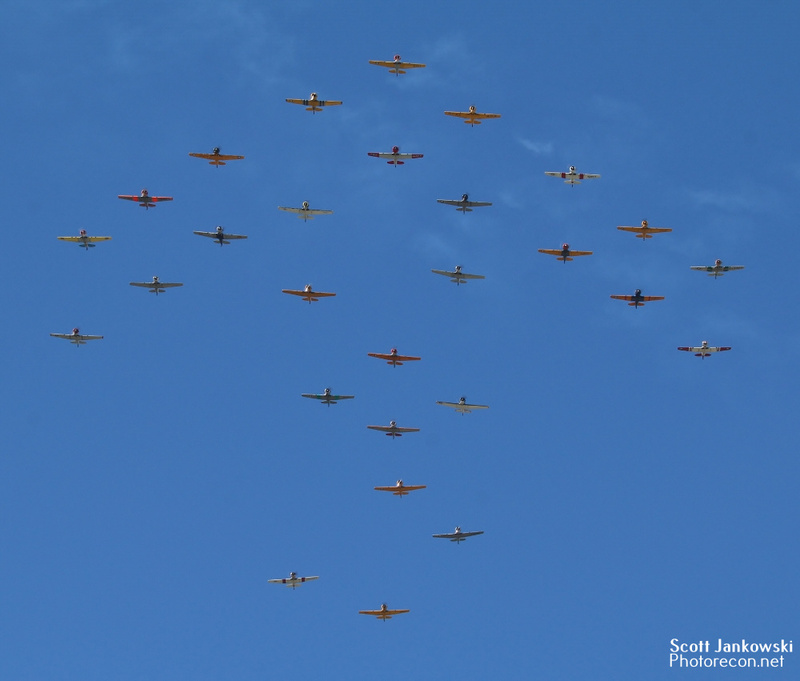 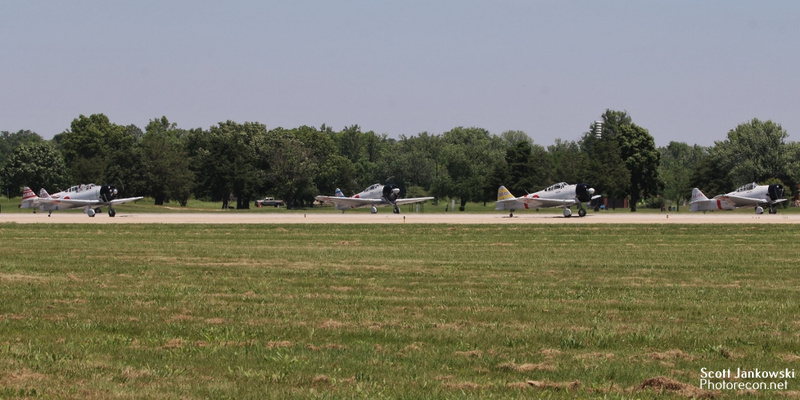 Texans also flew in the daily Warbird Airshow, usually in mass formation flyovers. 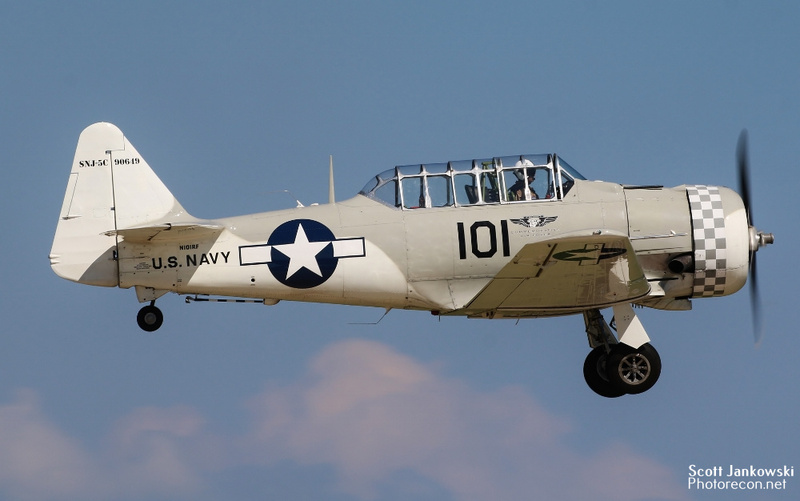 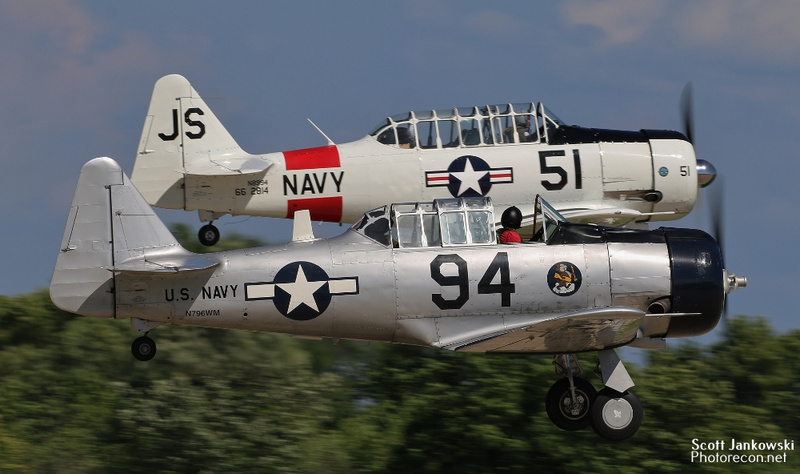 There are over 500 Texans of all models still flying around the world today.